“Saying what you really mean when you know there will be a disagreement is difficult for many…Passive-aggressive behavior can be viewed as a way to create more leverage when the level of power is unbalanced in a work situation.” Read the article. Charmon Parker Williams, Ph.D. is an assistant professor in the Business Psychology Department. 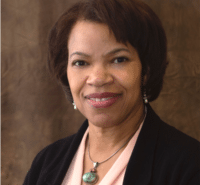 Prior to her appointment assistant professor, Dr. Williams served as an adjunct instructor for The Chicago School, beginning in 2009. She has also served as an adjunct professor for Northwestern University’s Kellogg School of Management.She has a private consulting practice which focuses on organizational development, diversity and inclusion, leadership assessment and coaching, strategic planning for non-profits, and training facilitation. Read more.